Most of the animals we chose to bring to shows are chill and friendly, but there are a few exceptions. 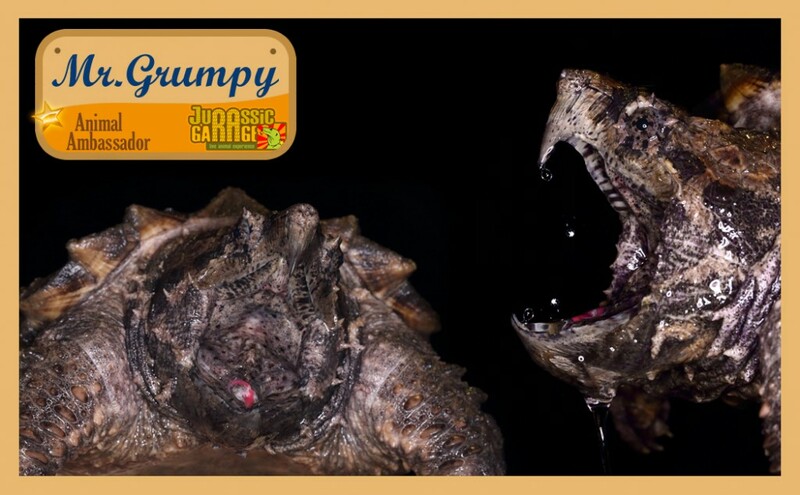 Mr. Grumpy is an alligator snapping turtle. Obviously, he is always very grumpy. That’s typical of this species. The healthier these turtles are the angrier they can get to scare you. Many people like our gentle animals. But if you think no one likes Mr. Grumpy you’re wrong. People are scared of him but at the same time fascinated by the unique nature of him. He has a lot of fans indeed! Are you one of his fans? 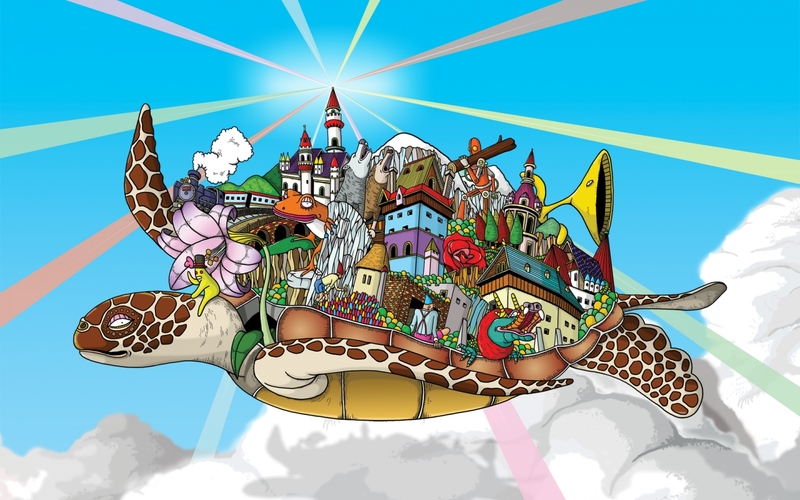 Have you met / fed this awesome gigantic tortoise in our shows? 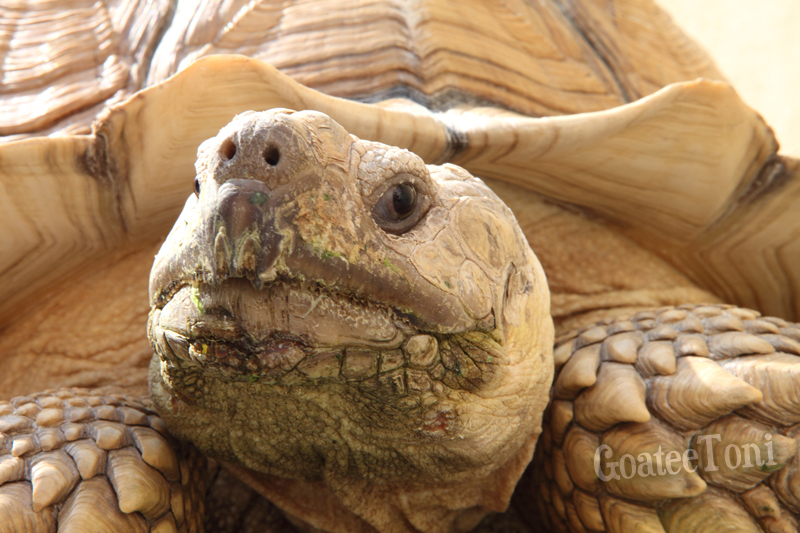 Ajani is the alpha male of our African tortoise gang. The name Ajani comes from the African origin meaning a warrior who fights for possession and wins the struggle. 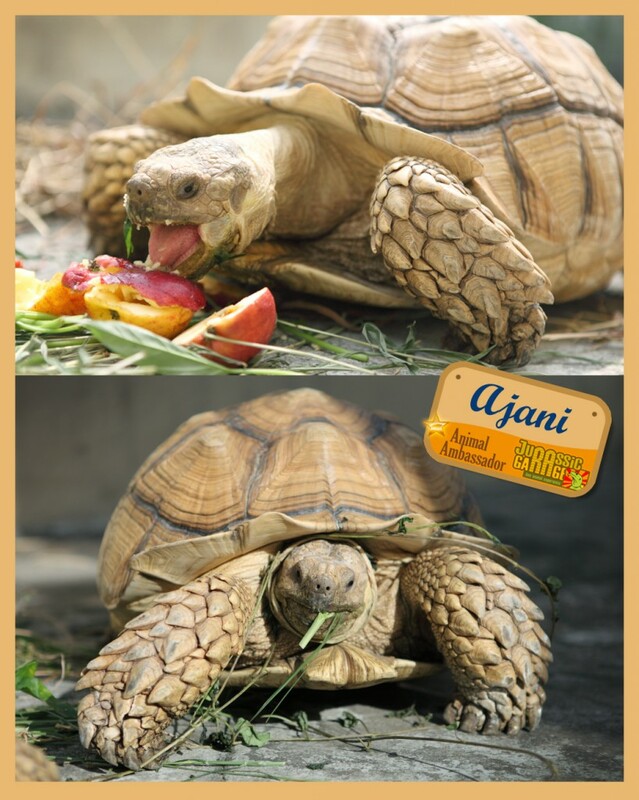 As a leader, Ajani keeps the tortoise gang in order and stops other tortoises from fighting for fruits (mainly because he will grab all the juiciest fruits before anyone else) The strategy is that he will push the food to a corner and occupy the entire corner with his big fat shell so nobody else can reach the food. Remaining greedy is how they survive in the wild in an arid desert where food is scarce. Within 2 weeks time, the earth has lost its last remaining Pinta Island Giant Tortoise, and up to 20,000 Leatherback sea turtle hatchlings. Both species have a natural lifespan of over 100-150 years. 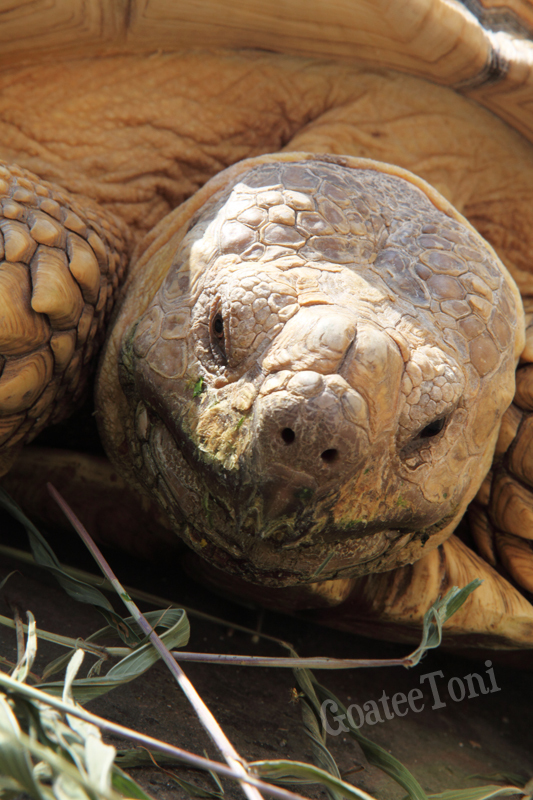 The former species was the world’s largest tortoise, which is just extinct. The latter is even bigger. 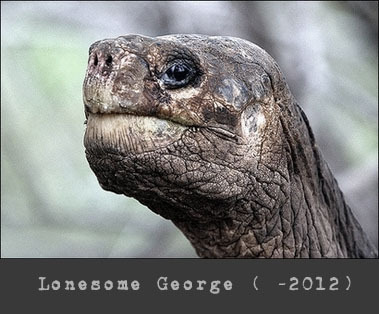 It is the largest of all living chelonians. The largest recorded specimen was 10 ft long and over 2,000 lbs, found in 1988. Giant animals might be stronger than smaller animals physically. But when it comes to survivability under human-caused threats, a chihuahua in a lady’s handbag can be stronger. The Leatherback is a unique turtle not only because it is the largest turtle. It also has a special carapace covered by skin and oily flesh instead of a hard bony shell like other turtles. The only extant member of the family Dermochelyidae, now it is listed as critically endangered – one step beyond extinction. With an environment like now, we estimate it will go extinct within 10-15 years. 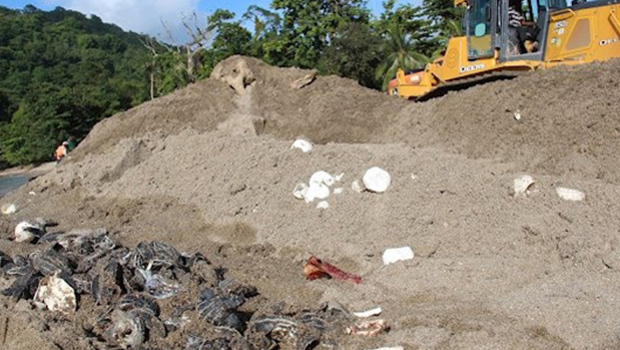 This time, a Ministry of Works employee operates a bulldozer next to destroyed as many as 20,000 leatherback eggs and lively hatchlings on the banks of the Grande Riviere Beach in Trinidad. It was claimed to be working with a shifting river that was threatening a hotel where international tourists watch the rare turtles lay their eggs. That is ironic. It, again, proves that eco-tourism has to be done by professionals with conservation background. Otherwise it only kills the nature. The critically endangered sea turtles are not only treated by tourism, pollution is another as everyone knows. But maybe not everyone knows how exactly. I have done autopsies on dead sea turtles washed ashore. The turtles were gut-loaded with plastic bags. Plastic bags floating in the sea look like jellyfish, which is their main diet. Learn more, people. You don’t see blood doesn’t mean you haven’t killed them. This massive 8.9/9.0 magnitude Japanese earthquake shows once again how powerful natural disasters can be. I wish our friends and everyone in Japan all the best. From the news we get an idea of how bad the damage is to people. There will probably be not much information about that of wildlife but I guess the damage to Japanese animals would not be any smaller. Japanese wildlife might not be so well known as the Chinese or Australian ones, but from my knowledge Japan has a pretty good variety of species. Within those there are over 50 species of mammals and more than 70 species of reptiles and amphibians that are endemic to Japan. 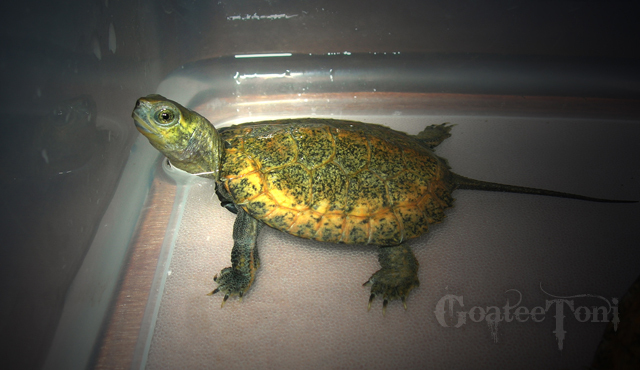 Here is one of them, the Japanese Pond Turtle (Mauremys japonica). We all understand how important it is to protect endangered species. But on the other hand, species that are endemic to a small area are running the same risk, such as the Japanese Pond Turtle above, even though they are not yet considered a threatened species. From the Japanese quake we realize how fragile endemic animals can be. Once that area is damaged, the entire species is gone, means extinction. Damage can easily be caused by natural disasters, wars, pollution, deforestation, just to name a few. Protecting the environment is what we have to do, but this is never enough. Captive breeding should be a thing to do to complement each other. It might not be the most natural way but at least it saves the species in case if its natural habitat is damaged. For instance our animals which were born in our farm are living a meaningful life not only to help strengthen its gang but as well to be an ambassador for its own species educating people. I am a natural person myself but for the sake of animals lives I think we should practice extraordinary solution for extraordinary period.